I am a 24 year old student, and I spend every minute of my spare time sewing, crocheting or knitting. I am proud to say that almost everything crafty I know, I learned from my mum, who is extremely clever and a constant inspiration to me. I hope that one day I will be as creative and as skilled as she is. 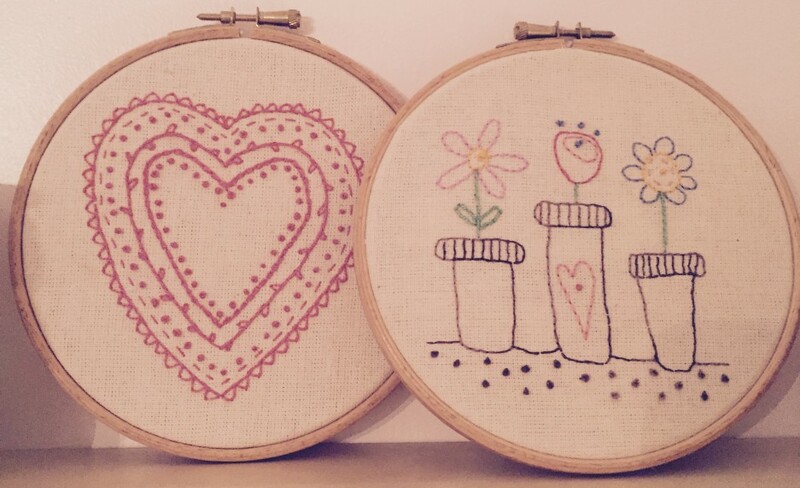 I started sewing with my mum as a child, but only picked it up in short phases, on and off until three years ago when I began sewing on a regular basis. A huge driving force behind this motivation was the fantastic news that my closest friend was expecting her first child – my first real project was a pink baby quilt! Three years later I am now even more excited to be making another baby quilt, this time it’s a blue one for baby number two! I have recently learned to crochet, and even more recently picked up and pair of knitting needles. Amongst baby quilts, I enjoy making a huge variety of projects and gifts – bags, blankets, baby clothes, quilts and more. I have started this blog to document my craft projects, and keep you up to date with my finished projects, works in progress, and plans for future makes. Ah, the perfect blog. Sewing, knitting and crochet! Thanks! It’s a fab combination of hobbies….My only real struggle is deciding which one to pick up each day!